I am now 26 weeks and I must admitt I am feeling so uncomfrtoable. I am struggling to get up from my bed or chair, struggling to bend down and also struggling to find something comfortable to wear. 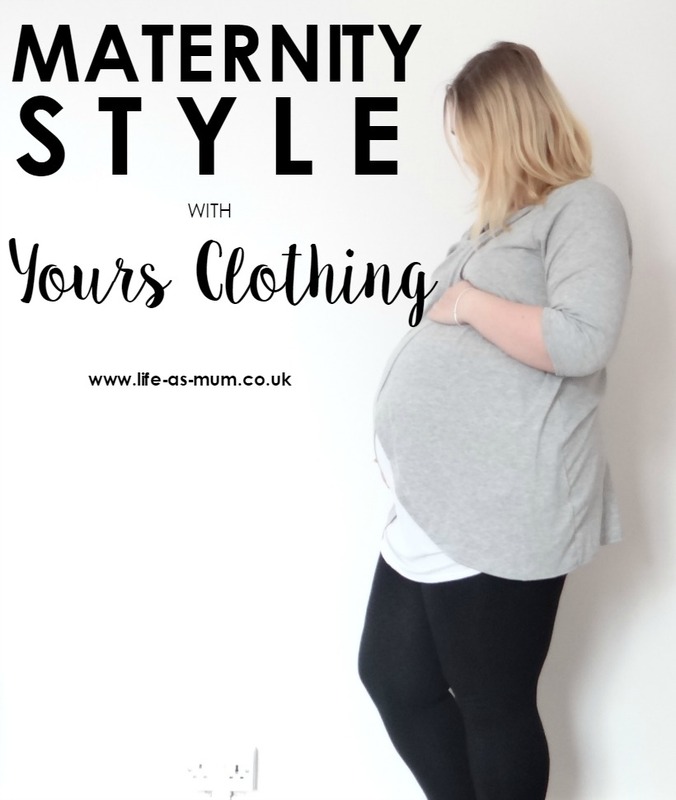 It's so important to feel as comfortable as you can during pregnancy and clothing can be a huge help with this. Choosing the right clothing is important, you shouldn't wear something that is too tight for you around your growing bump. It is always best to wear something loose and comfortable (my opinion). Your Clothing is a clothing website for plus size. They also do a Maternity Range. Their maternity range is fantastic as there is such a variety of clothing to choose from. I got a chance to review three products from their website and decided to choose their black maternity leggings, grey nursing tops and denim shirt. The reason I chose these out of all the others is because I live in maternity leggings, so I was interested in how YoursClothing leggings were compared to other leggings I have worn. The nursing top I chose because I am planning on breastfeeding Baby boy and thought this top would be great. The denim top just really caught my eye and I just had to add it on to my list to review. 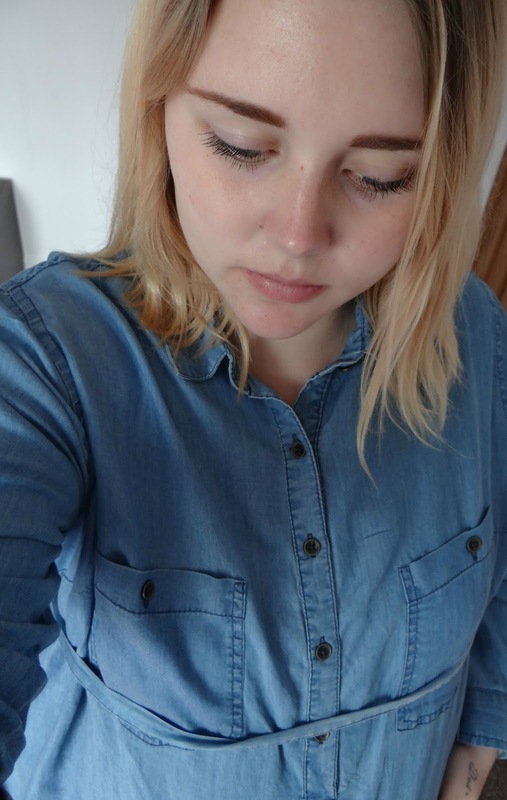 This gorgeous Denim Blue Longline Shirt is so comfortable. It is 100% cotton an the sizes available are size 16 up to size 32. 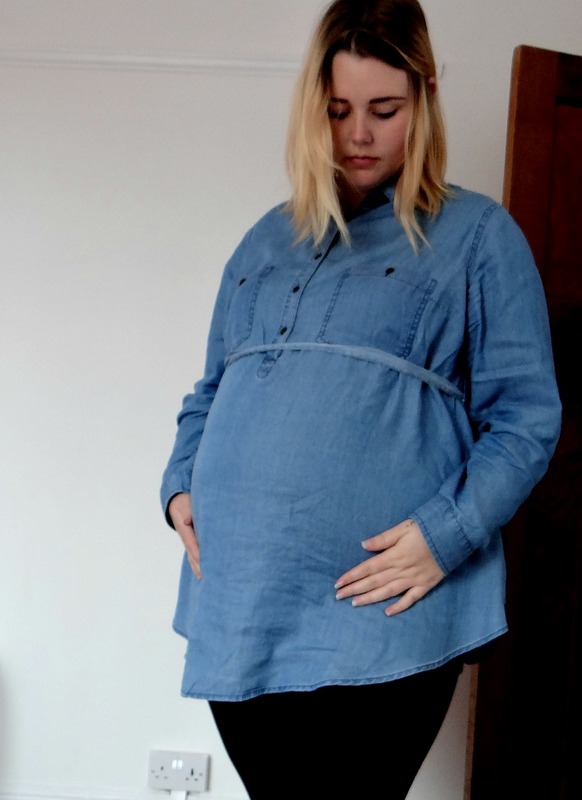 I have teamed this stunning denim shirt up with black maternity leggings and pumps or boots. I have had a few good remarks off people about the shirt. It lies perfectly over the bump and for me that is what I like with maternity wear. This shirt is £29.00. As I said above, I love my maternity leggings and I live in them. So I was interested to see if these were just as comfortable. The 95% cotton and 5% elastane material leggings were really comfortable from day one. The length was perfect for my height. I got a size 18 and it fitted me perfectly well. The sizes available are size 16 up to size 32 and priced at only £12.00. * I was given these items free of charge in return of an honest review. All words and photos are my own, as always. All 3 things looks lovely and really comfortable, they all go so well together too. I always struggled for Mat wear - there never seemed to be much choice if you were over a size 16. Love your picks. I'm loving the maternity gear! It can be hard to find nice-looking maternity clothes sometimes. I'll have to browse their selection. Lovely outfits. I like the denim shirt a lot. I really like the grey top, looks great on you! It's so great that there are so many options for maternity wear now. My favourite look is the longline denim chambray shirt dress. It looks comfy and stylish! The denim shirt looks great and how I wish tops like the grey nursing wrap were around when I had my boys - would have made feeding so much easier! Good to see comfortable clothing that also looks great too. I love how maternity wear has improved in recent years. A decade ago it was ugly and purely functional and now it's fashionable in it's own right. You look amazing - that denim shirt is too cute! Fashionable maternity clothes are very comfortable and it has become a style focus, with celebrities and average women alike choosing to accentuate and celebrate the pregnant body. It is easier than ever to find comfortable, figure-flattering, modern maternity clothing.